In this video, Michael Dougan offers a brilliant and well-informed exposition of the EU. Truth has sometimes felt like a scarce commodity in the referendum debate. It’s hard not to read the Leave campaign’s claims about Turkey being on the point of joining the EU with catastrophic effect, or the mythical £350 million a week to Brussels, as lies. The Remain campaign has not been so extreme, but has tended to quote statistics without proper respect for uncertainty. For example, there are lots of projections of what Brexit would cost the UK economy. The actual numbers depend on the assumptions in the modelling. The broad conclusion is that Brexit would harm the UK economy, but being too exact gets into a discussion of whose model is best, and can undermine the conclusion that Brexit risks serious economic problems. Do watch this video, in which Prof Michael Dougan offers a very coherent academic assessment of the situation. After the referendum, Michael Dougan released a second video on the new situation: click here to watch. 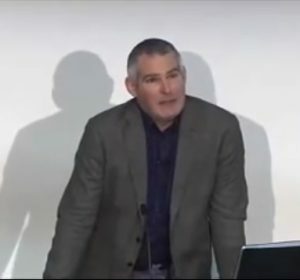 Michael Dougan was one of four witnesses to the Treasury Select Committee on 5 July, along with Robin Niblett, Sir Emyr Jones Parry and Raoul Ruparel. The video feed is remarkable: my reading is that it makes the leaving of the EU seem absurd, and the negotiations to be about damage-limitation. It seems profoundly in the interest of the UK and of the EU to abandon Brexit (and get on with being constructive members of the EU after this mistake).